The Sigma 12-24mm ƒ/4.5-5.6 was announced in October 2003, which still holds the record as the widest zoom lens available for a full-frame camera body. At 12mm, the lens produces an impressive field of view of 122 degrees. The Sigma 12-24mm ƒ/4.5-5.6 features an integrated lens hood, and does not take front-mounted filters; gels can be attached to the rear element. The lens is currently available in Sigma, Canon, Nikon, Sony and Pentax mounts for approximately $775. The 12-24mm provides moderately sharp images throughout its zoom and aperture range, though stopping down only improves performance marginally. 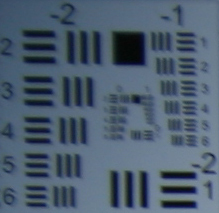 When used on the APS-C sized sensor of the 20D, the lens showed some problems at its widest apertures. Between 12 and 15mm we note some unevenness to the overall sharpness of the image, with images showing between 2-3 blur units. Between 17mm and 20mm this unevenness clears up but we now note substantial corner softness (around 6 blur units) on the left side. Average sharpness at these ranges is around 2-3 blur units with a nice central spot of sharpness (1.5 blur units). Interestingly at 24mm neither of these issues are prevalent, and we are rewarded with a generally even image (around 2 blur units) with just slightly soft corners (3-4 blur units). Stopped down, there is some improvement in sharpness, but not much. At 12mm you have to stop down to ƒ/11 to get an optimally even image, and at this setting we note image sharpness of just less than 2 blur units. Between 15-17mm you'll want to stop down to ƒ/11 if not ƒ/16 to remove traces of corner softness. 24mm is probably the most controlled aperture of them all, with excellent performance at ƒ/8; a large region of 1-1.5 blur units in the central region of the frame, marred only by slight corner shading (3-4 blur units) in the top corners. Performance fully stopped down isn't bad but it isn't great, at 3-4 blur units across the frame between ƒ/22 and ƒ/29. On a full-frame camera such as the 5D, the lens shows a bit more 'wild' performance. Wide open at ƒ/4.5 and 12mm, the lens shows average performance throughout the frame in the range of around 2 blur units, but the corners - the extreme corners, mind you - get some impressive softness in the realm of 5-8 blur units. The overall image is quite uneven between 15 and 17mm and ƒ/5 while still being moderately sharp (around 2 blur units) and things get a bit more controlled at 20-24mm, with performance in the 2-3 blur unit range and some corner softness at 24mm. As in the APS-C sensor body testing, stopping down mitigates these problems slightly, but doesn't cure them completely. The optimal settings remain almost the same: ƒ/11 at 12mm, and ƒ/11 or ƒ/16 at 15-17mm. The story changes slightly at 20-24mm, where the 20mm setting seems to be the most stable; performance at ƒ/5.6 is similar to that of ƒ/8 or ƒ/11. Stopping down at 24mm removes some corner softness, but not all. For an exceptionally wide-angle lens, the Sigma 12-24mm controls chromatic aberration quite well. On the sub-frame 20D we noted some CA in the corners in areas of high contrast. According to the tests it's most prevalent at 15mm at ƒ/8. The full-frame 5D exposes the sensor to more of the lens' edge performance, so it's not surprising to see a higher prevalence of chromatic aberration. It's controlled well at 12mm, where this lens will see a lot of use, and trouble spots on full-frame are at 15mm and 24mm. On the subframe 20D, the 12-24mm produces very light corner shading, and then only when the lens is used in its wider angle settings (12-15mm) and wide open. At these points, the corners are about a half-stop darker than the center. As the lens is zoomed out and / or stopped down, this corner shading reduces to the quarter-stop level. On the full-frame 5D however, the lens produces some of the darkest corner shading we've ever seen. At its worst points the data is literally off the charts; at 12mm and ƒ/4.5, the corners are 2 1/4 stops darker than the center. Corner shading is always a problem with this lens, with average corner shading being around a full stop darker than the center, ie., any focal length at ƒ/11. Either you'll love the look on full-frame, or expect to spend some time fixing it in post-processing. For all its corner shading, the lens is remarkably free of distortion. On the sub-frame 20D the lens shows some slight barrel distortion (+0.4% in the corners at 12mm) throughout the range as you approach 24mm, where distortion reaches zero. On the full-frame 20D, distortion is a bit more prevalent, but even here it's remarkably well-controlled. Average performance (distortion throughout the frame) is very good, at just +0.25% barrel distortion at 12mm. In the corners, you see a bit more distortion: +0.5% barrel distortion at 12mm, evening out to zero at around 18mm, and then entering the pincushion realm at 24mm (-0.2% pincushion distortion). These aren't huge amounts, but just enough to turn your straight lines into curves. The 12-24mm ƒ/4.5-5.6 uses Sigma's HSM focusing technology, allowing for a screw-less design that works on modern camera bodies. The lens focuses quickly and silently, going from infinity to close-focus and back to infinity in less than one second. Micro-changes in focus are done very quickly. Autofocus results can be overridden at any time by just turning the focus ring. The 12-24mm makes a poor macro lens, with just 0.14x magnification. Minimum close-focusing distance is quite close, at 28cm (just under a foot). 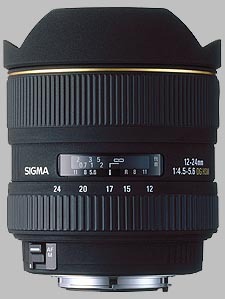 The Sigma 12-24mm ƒ/4.5-5.6 is compact lens, with plastic construction and a grippable black texture. The lens itself isn't overly heavy, just over a pound, and mounts well with both our sub-frame (20D) and full-frame (5D) test bodies. The lens mount is metal, and while there are no filter threads to speak of (the lens hood is integrated into the design) Sigma thoughtfully includes a small clip over the rear element to allow you to slip in colored gel filters. Only one control feature exists other than the focus and zoom rings, a small switch to enable or disable autofocus on the lens. The lens is equipped with a recessed and windowed distance scale, showing distance information in feet and meters. Depth-of-field measurements are provided showing marks for at least ƒ/5.6 and ƒ/8 (Sigma's press images show a depth-of-field marking for ƒ/11, but our sample of the lens doesn't have this). An infrared index marker is not present. The zoom ring of the lens is the smaller of the two rings, at a half-inch in width. The ring is composed of raised rubber ridges running parallel to the body of the lens. Forty-five degrees of turning action runs the lens through its zoom range, and given that the lens extends about a quarter-inch at the tele end, zoom creep really isn't a problem. The zoom ring has a nice feel to it; not too tight, and not too smooth. The focus ring uses the same texture as the zoom ring, raised rubber ribs running parallel to the lens body, but the larger size (one inch wide) means you won't be confusing the two. The ring is smooth to turn, and there are no hard stops on either end of the focus spectrum. The ring will keep turning even at close-focus or infinity focus, but a slight increase in tension will alert you that you've reached the end. The integrated lens hood is petal-shaped, adding 3/4-inch to the overall length of the lens. As with most ultra-wide lenses, the juggling act to actually make the lens hood useful is a tough one; when used at wide angle, you are getting so much of the scene into your photo that to keep the sun out is a challenge. When considering alternatives, the field is fairly wide: are we considering ultra-wide angle lenses for sub-frame sensor bodies? Or wide-angle competition for full-frame bodies? There's not much point getting the 12-24mm ƒ/4.5-5.6 if you have a sub-frame dSLR; consider instead Sigma's 10-20mm, which performed very well in our tests. Overall image sharpness is very good, CA is perhaps higher than we'd like, and distortion is noticeable. Sigma has also announced a constant ƒ/3.5 version of this lens. Most manufacturers produce a ultrawide-angle zoom lens for the APS-C format. Nikon's probably the closest competitor in the category of full-frame ultrawide zoom lenses, with this lens; at three times the price, it's faster (with a constant f/2.8 aperture) and razor-sharp to boot. The only area the Sigma has any kind of edge is in distortion, where the Nikon shows more barrel distortion. As well, most manufacturers produce a wide-angle zoom lens for the full-frame body, in the 16-35mm or 17-35mm configuration. While it's not the sharpest lens in the bag, the Sigma 12-24mm showed fairly decent results for sharpness. For optimal performance the lens must be stopped-down significant, to at least ƒ/8 or ƒ/11. CA is well-controlled and distortion is remarkably so. On sub-frame cameras corner shading isn't much of an issue, but on full-frame the lens showed the most corner shading we've ever seen. Whether you'll love or hate this look is in the eye of the beholder. This is an extreme lens, to be sure -- the widest rectilinear lens available for an SLR. (Voigtlander also has a 12 prime.) As with any extreme lens, it's going to have a few issues. The design probably requires tighter tolerances than Sigma can deliver on a reliable basis. Even so, it's an amazing lens that delivers very good sharpness, average contrast, and exceptional control of distortion and CA. Focus is fast, silent, and precise. I'm quite a fan of this lens, which I find extraordinarily useful for architectural photography. Sigma lenses can be quite variable. The first one of these I got was truly awful. Very uneven sharpness across the frame. I sent it back and it was replaced, but the new one is not great. On a full frame camera even the wonderful DXO can't correct all its failings.Shame as it is a moderately compact lens with a useful focal length range. My advice would be to only buy where you can try the lens in the shop and see the images there and if it looks good take that same lens. Mine works best at f11, and preferably not set all the way to 12mm. Got this lens very cheap at a pawn shop. Use it for film, but not digital. It's a good lens, but I prefer my 20mm 2.8 overall. Use the Sigma when I need the extra width. Bought an 11-18 for digital work. This lens cannot mount a polarizer without vingetting below about 20mm, hence the preference for the other lenses. I only use this lens for ultrawide on film. For the right person and use this is a good lens. If you need a wide lens to shoot indoors, it's a contender for film or digital. If you shoot film and use no filters it's just fine. 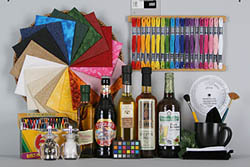 Deleivers good performance to value for its strret price. Very wide. Sharp over f.5,6. No distortion at all, a miracle! I used to have a Sigma 15-30 before purchasing this lens, but I needed a larger angle coverage for some architectural pictures. This lens has no real distortion even at 12mm, and it's quite sharp if you use it at f.5,6 and over. I have no idea of what it could produce on a full format SLR, but it gives excellent results on my canon EOS 20D. Great inexpensive wide angle lens. amasingly solid construction and great color rendition. Could be a little more sharp when zoomed-in. Love that lens. I recently updated its chip for the D200 AF-ON issue. The service provided by Gentec Canada was excellence. One thing, the NEF image files produced by this lens is not 100% compatible with Capture NX. The vignetting control does not work although the lens does not need the correction with APS size censor. This is my favourite lens and it stays on the camera most of the time. Highly recommended! This is an amazing lens - the widest rectiliner zoom. The best thing about this lens is it's full frame, so works on my film body as well. it is large and the front element really bulges out - which leads me to my only gripe with the lens - no poleriser... i use them all the time, and although on a lens this wide it would not be as usefull as on a 40mm or even 28mm (in terms of its effect on the sky) it would still be nice to get rid of reflections off water etc. image quality is great for such a design feat, fantastic. I bought one in April 2004, used it happily for over a year with a D70. As mentioned in the pros and cons section, it does have remarkably low linear distortion and almost no evidence of CA, both very good points. Relatively low tendency to flare, probably helped by the built-in hood. Somewhat low contrast and slightly different color rendition as compared to Nikkor lenses. Sharp enough that I was quite happy with it on the D70. That said, its resolution limit must fall somewhere between the demands of the D70 sensor and the D2x sensor. Shooting with a D2x it is noticeably unsharp near corners at 12mm, and this gets far worse at 24mm, extending to whole edges to about the outer 1/6 of the frame on each side. This is at my typical shooting apertures of f/8 or so. It's possible that mine has had a knock at some point in over a year of use, but it still looks sharp on the D70, so I suspect that it really just can't cope with a need for 1.4 times as many lines in each direction on the same size sensor. Never did try it with film so cannot comment on full-frame performance. in summary, if you are shooting with a 6 or 8 MP APS sized sensor, this lens should work well. It may also work nicely on a full frame sensor. High-pixel-density sensors may reveal problems. I recommend it, but with reservations. This is an amazing zoom in that it brings the 12mm focal length to 35mm film and full-frame digital, without the distortion one might expect in such an extreme focal length. The lens features Sigma's sound EX finish & construction; solid and only moderately bulky. The lens is at its best around f8, as it loses sharpness wide open. It also has remarkably well-controlled flare, important in such a wide lens. Shooting into a full sun produces a string of small, colorful flare spots that I've used many times to accentuate my compositions. Unlike most competing ultra-wide zooms -- all of which are limited to APS-C sized digital sensors -- the Sigma 12-24 has a variable maximum aperture of f4.5-5.6 rather than the constant f4 of the digital-only zooms. With its built-in petal hood, the Sigma can only mount filters with the aid of the two-piece lens cap, which doubles as an 82mm filter adapter. 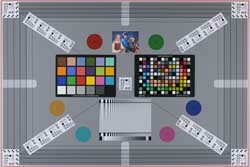 In this configuration, vignetting occurs as early as 21-22mm. A rear filter mount for gels allows limited filtration at wider focal lengths. If you do any full-frame work (film or digital) I would recommend this lens highly over the competition. You can produce amazing photos at a true 12mm focal length and it provides highly effective wide zoom capability for DSLRs with smaller sensors.